One of the new features at NEI includes a breakdown of our Friday night superstars. 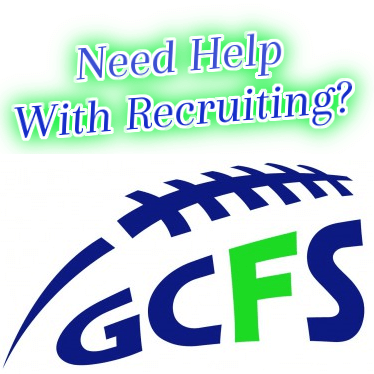 Weekly we will review athletes who have “upped there stock” and moved up in the rankings. This allows to us to evaluate each kid and give credit where credit is due. Taylor Walcott Sr. WR 6-0 175/ Paxton Miller Sr. DE/OL 6-2 230- Marist- Walcott was clutch scoring both of the teams Td’s in a 16-14 nail biter over state title contender Corvallis.. Miller kept returning conference player of the year Isaac Seumalo in check all night sealing up the win. Kevin McLean- Southridge Jr. WR/DB 6-2 190..33 and 42 yd Td Receptions, played very well..Returns after second team all league season as a sophomore. Outstanding football player. Reza Aleaziz- Southridge Jr, QB 6-4 200.. 3 TD Passes and a Touchdown run in 49-41 loss to Tigard.. Looked extremely polished for a first start, has the size to do some things but also is a stand out baseball player that might choose that route. Jordan Visarraga-Willamette Sr. RB/CB 5-11 175..253 YDS, 4 Touchdowns and 1 int in a 67-38 win over brutal South Albany squad. Has 3 D1 offers, but scouts question his size. Projects as a D1AA DB..Great kid! Marquis Hammick- Parkrose So. RB 5-11 170..2 More Td’s (82, 1) in 21-18 win over Dallas..Comes back after all league freshman season, very rare feat..
Penninsula (Gig Harbor) RB Danny Welstad – The talented senior had one of the best days ever for a high school running back in the state of Washington, posting 297 yards and 6 TDs in the Seahawks’ 48-9 win over cross-town rival Gig Harbor. Welstad got calls over the weekend from Miami (Ohio) and OhioState. He’s got a great frame at 6’1, 210 pounds and is a player to watch this fall. Bethel QB Justin Hordyk – Hordyk almost brought the Braves back to beat Odessa (Tx.) Permian on the road last week, but ultimately they fell 59-44 in a shootout. Hordyk went 22 of 37 for 327 yards and four touchdowns with 3 interceptions and rushed for 94 more yards in the loss. Bethel WR David Fontenette – Was outstanding in a 59-44 loss to Odessa (Tx.) Permian, hauling in 8 receptions for 134 yards and 3 touchdowns. Fontenette also threw a 34-yard touchdown pass. Bellevue RB John Nguyen – Had a huge night as the Wolverines beat Oaks Christian (Westlake, Ca.) 31-21. Nguyen carried the ball 22 times for 146 yards and 2 touchdowns. Bellevue DB Tyler Hasty – Was big on both sides of the ball. Hasty rushed for 75 yards on 12 carries, completed 5 of 6 passes for 46 yards, posted 8 tackles and forced three turnovers in a 31-21 win over Oaks Christian (Westlake, Ca.). Skyline (Sammamish) WR/RB/DB Damian Greene – Did a little of everything for the Spartans in their 62-27 win over Liberty last week carrying the ball 5 times for 43 yards, hauling in 2 receptions for 78 yards, returning a kickoff 23 yards and making two tackles from his corner position. Skyline (Sammamish) LB Peyton Pelluer – The junior is a tackling-machine and had a big game last week in Skyline’s 62-27 win over Liberty racking up 10 tackles and a fumble recovery. Kennedy (Burien) RB Orion Prescott – Had a huge game running the ball for the Lancers rushing for 121 yards and four touchdowns on only seven carries in Kennedy’s 47-6 win over Decatur (Federal Way). Federal Way RB D.J. May – Had 101 yards on 8 carries in the first half against Graham-Kapowsin, but lost 16 yards in the second half, as the defense stacked the box, to finish with 85 yards and two touchdowns on the night. Showed great vision and a burst out of his cuts during the game and should be a player to watch the rest of the season. Federal Way won the game 37-14. Eastside Catholic (Sammamish) RB Chevelle Walker – The talented senior running back scored five touchdowns (three rushing, one receiving and one on a kick return) and had more than 300 all-purpose yards in the Crusaders’ 63-20 win over Cleveland. Newport (Bellevue) QB Isaac Dotson – The dual-threat signal-caller rushed for 224 rushing yards and three touchdowns and threw for another touchdown in Newports 43-34 win over Interlake. Everett RB Blake Williams – The senior running back carried the ball 35 times for 256 yards, four touchdowns in the Seagulls’ 27-7 win over Shorewood. Lakes (Lakewood) QB David Wood – Completed 10 of 13 passes for 237 yards, six touchdowns as the Lancers rolled to a 63-8 win over Clover Park.